I like to build stuff and to understand how things work. Social networks, natural language processing, mobile, machine learning and psychology are my playgrounds. Initiated and managed the redesign of the whole UI of the popular Instagram iOS and Android applications. 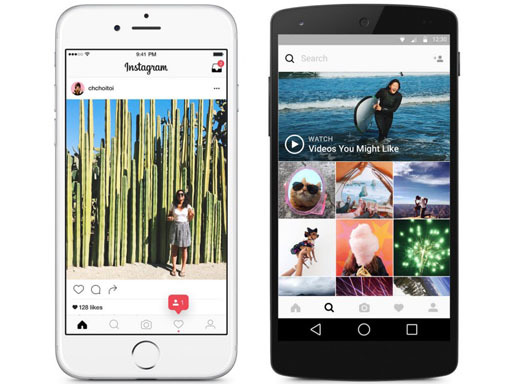 The redesign of Instagram was covered by Techcrunch, The Verge, Gizmodo . 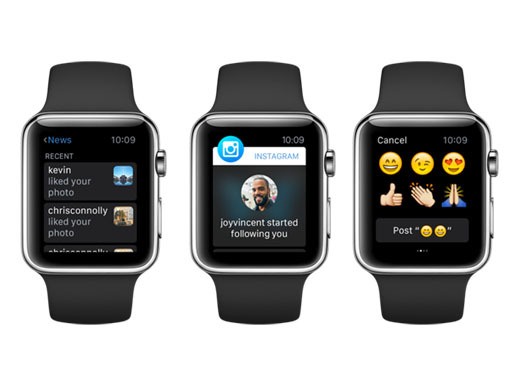 Build the Instagram Apple Watch app. The Instagram Watch application was covered by Wired, Financial Times, TechRadar, The Verge . Upstagram is a fun hack with a flying house we made, inspired by the movie “UP”, that we let fly over Paris. The house contained a Raspberry Pi, and was posting live pictures on Instagram, after reverse-engineering their app. Upstagram was covered in Techrunch, Buzzfeed, Linux.com, Engadget, Hack a day, Le nouvel observateur, Le point, France info, just to cite a few. 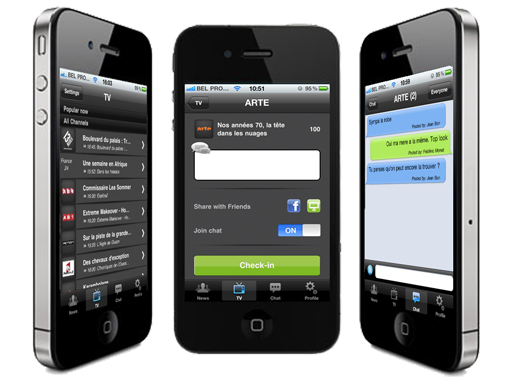 Instaply is an iPhone application to text businesses and retail companies. 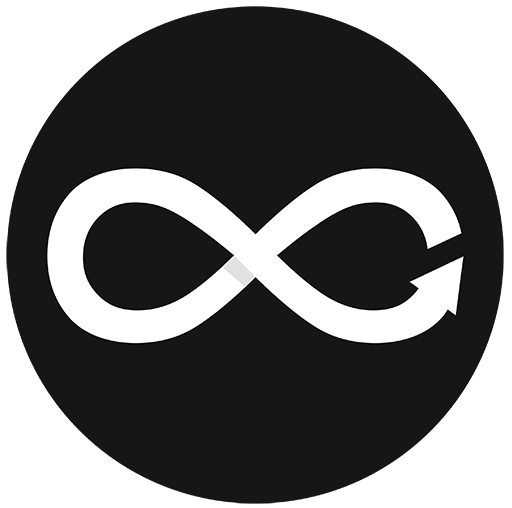 Watch a promotional video of Instaply. CoursePad is the first iPhone and iPad application for Coursera; featuring video lectures with subtitles, play rate control, note taking and course slides. 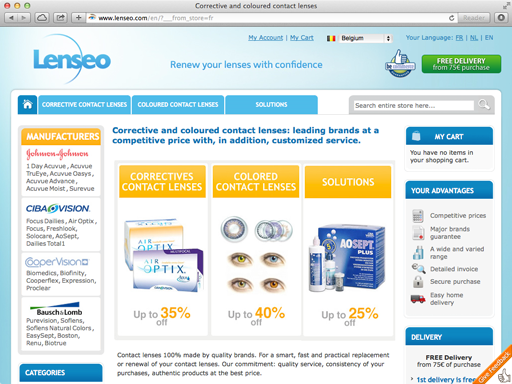 Watch a promotional video of Coursepad. 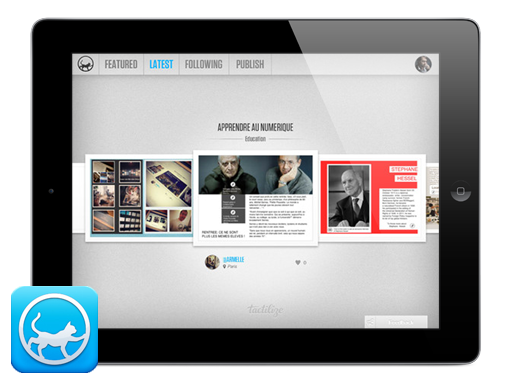 Tactilize enables anyone to discover, publish and share interactive content on iPad, easily and instantly. Tactilize had coverage on Techcrunch (also here and here), The next web, Ubergizmo, Reuters and Rude Baguette. Watch a promotional video of Tactilize. 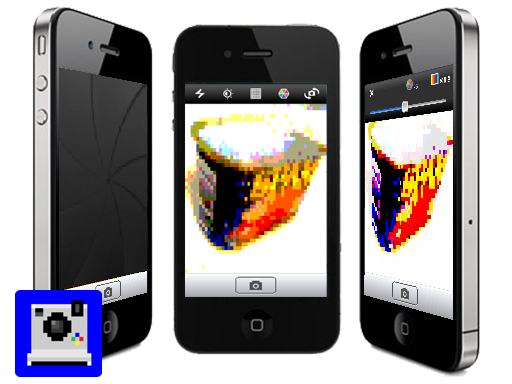 Pixeltron lets you make old-school retro style 8bits pictures on your iPhone. 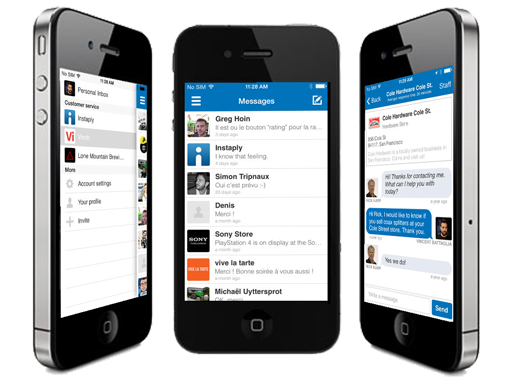 Kwarter is a Sports Social Network on your iPhone and iPad. It's a fun and social way to connect with your friends during live games, share comments, upload photos and collect unique In-Game Trophies. 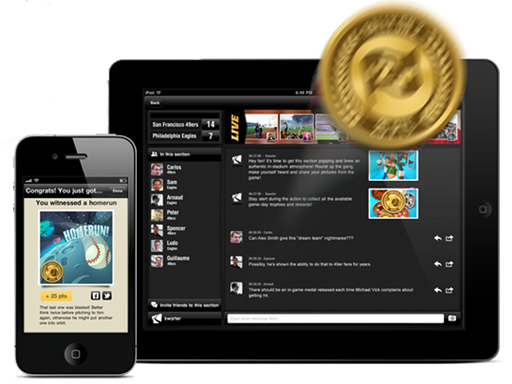 Kwarter keeps track of your game history and rewards fan engagement. Streetmark is an iOS application to make bookmarks in real life. It lets you take a picture, remember its position, and tag it. 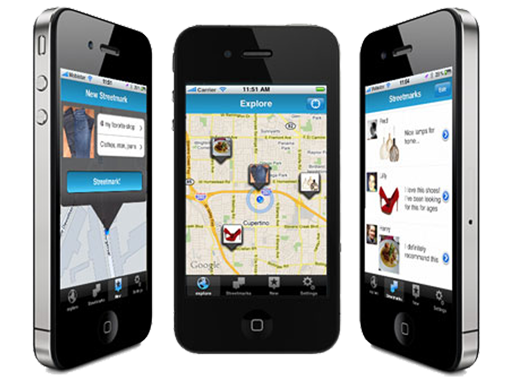 Share streetmarks with your friends and explore the world around you. With WizzChat you can check-in on television channels during TV shows to share what you are currently viewing instantly with your Facebook friends and chat with other WizzChat users. 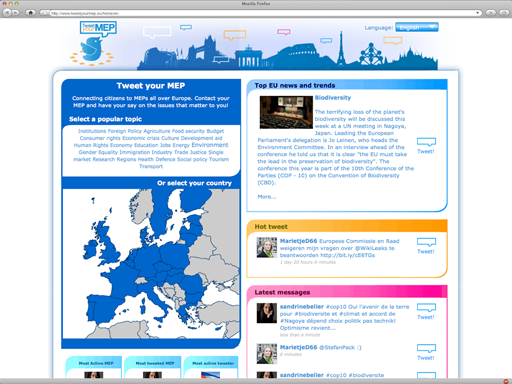 Tweet your MEP (Member of the European Parliament) is a directory for citizens to contact their representatives at the european parliament through Twitter. See also articles in the press: Le Taurillon, CafeBabel, Owni and a promotional video. 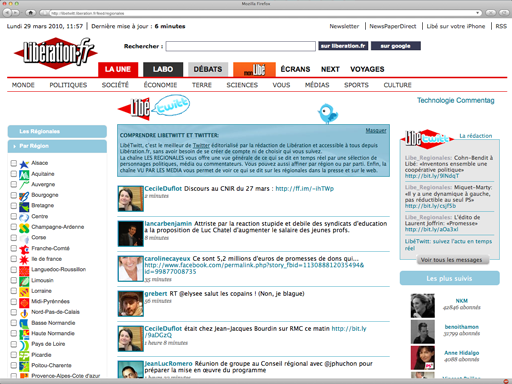 Libetwitt was a Joint-Venture with the french newspaper Libération during the French elections. Europatweets is a Twitter-based curation site based for European politics. 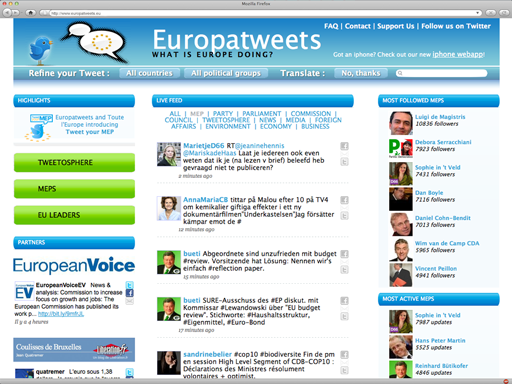 Europatweets.eu aggregates members of the european parliament, the european institutions, journalists, bloggers. We made a presentation at Campus Party Europe 2010, a presentation at Hack democracy Brussels, an interview for the "Intermédias RTBF" TV program. 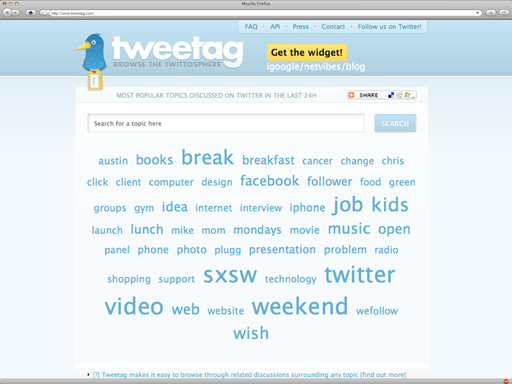 Released in 2008, Tweetag was the first tagcloud and semantic search engine for Twitter. It let users search recursively for trending topics and see related tweets. See also articles in the press: Techcrunch, Washington Post, PC World.